Whoopee Pie III plays off the strong stance of the knowing, looking figure. The title is a double entrende, as the “whoopie pie” cake is a household favorite of the artists’ young daughter. In spite of being allergic to eggs, flour and dairy, she gleans absolute pleasure from leafing through her mother’s cook books and loves the sound of the name “whoopie pie,” literally “whooping” with delight as she chants the words over and over again like a magic incantation. 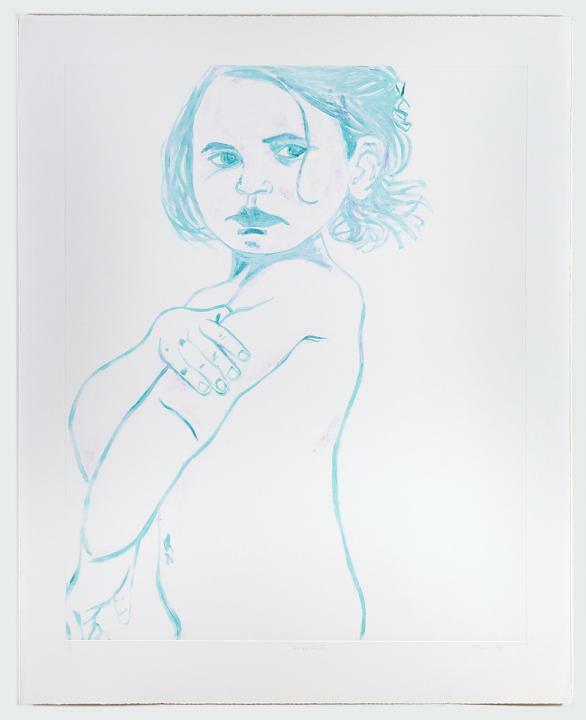 The figure in Whoopee Pie III is not necessarily the artist’s daughter, but rather the artists’ means of engendering the outward emotion of the push-pull effect of wanting and being denied through the body language and facial features of her protagonists.